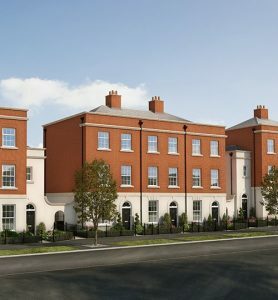 Congratulations to Galliford Try Partnerships on their regeneration scheme at Brunswick being named as the overall winner of the Top 60 awards. 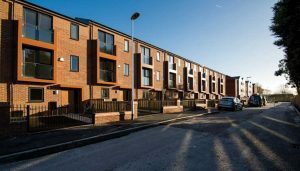 AES Sustainability Consultants have been working with the Partnerships Division to provide energy, Code for Sustainable Homes and BREEAM assessments on the scheme using a fabric first approach to deliver 522 homes, a 60-bed sheltered accommodation facility and new retail area. To read more about the scheme, please click here. AES are very proud to be part of the team bringing the first new homes to market at Sherford, Plymouth. This new community is testament to the hard work and dedication of all Consortium members, and the release of the first new homes is a real milestone. Please click here to find out more about the new community. Last night we were proud to have had our work delivering cost effective solutions for our clients recognised at the 2016 Building Awards ceremony. We have grown fee income by 25% in the last year with a laser-like focus on helping make sustainability simple and achievable for our clients. We have also managed to up fee income per staff member by the same amount, gaining a reputation for being able to save our clients money on effective sustainability measures. Our “toolbox talks” educate site operatives on how what they do will end up impacting the thermal performance of the building. 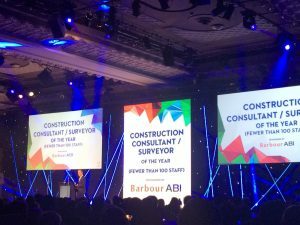 Whilst the award for ‘Construction Consultant/Surveyor of the Year (Fewer than 100 Staff)’ went to a very worthy winner, Core Five LLP, we are very pleased to have made the shortlist.